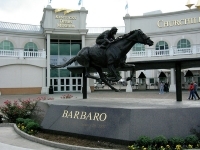 While Churchill Downs and the Kentucky Derby are the main entries on the traditional bucketlist, visitors will discover all manner of attractions in this pretty southern city. 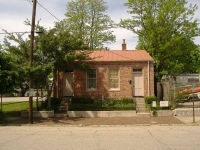 Louisville has a long history, most prevalent in the old architecture built throughout. 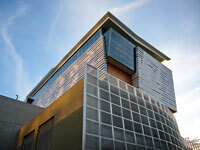 It is home to the third largest National Preservation District, and largest Victorian district, in the United States. Scenic areas worth exploring include St James Court and Belgravia Court, Main and Market Streets, the Cherokee Triangle, and Butchertown. 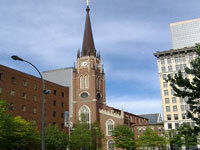 Downtown has highlights within walking distance, including the art galleries of Market Street, the Speed Art Musem, the Kentucky Center for the Performing Arts, the Louisville Slugger Museum, the Kentucky Science Center, Frazier Historical Arms Museum, Kentucky Museum of Art and Craft, Kentucky Derby Museum, and the Muhammad Ali Center. Many of these are located in a cluster on Main Street. 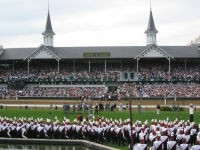 Besides the iconic horse race, the Kentucky Derby Festival presents air shows, balloon and steamboat races, and marathons. The St James Court Art show is a fun local event too, held in a genteel neighbourhood of stately Victorian homes.